Affiliate marketing is one of those things that is easy to explain, and even easy to carry out – in theory, but causes so many people so much grief when it comes to the practice. As explained in the video below, Affiliate Marketing is the practice of selling other people’s stuff for a share of the sale price – a commission. This can be as low as 2% if you’re selling Amazon products and as high as 100% if you are selling ‘Make Money Online’ digital products. Most affiliate commissions fall somewhere in between. Products are made available to affiliate marketers in a number of different ways. One way is that an individual product creator (or vendor) has his own affiliate scheme and arranges for affiliates who have made sales, to be paid. It sounds like a lot of extra work for the vendor, but online based software can make it easy to manage. The most common method is to use a third party company, known as an affiliate network. The vendor provides a product (or series of products) and the affiliate network deals with bringing in affiliates, taking payments from buyers and sharing out commissions. 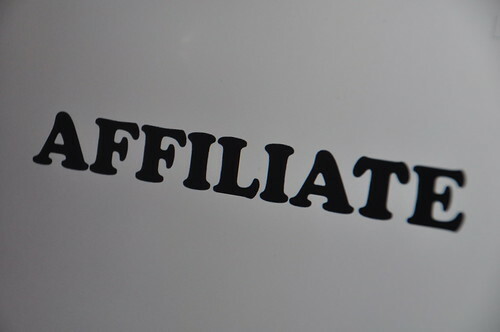 In return, the affiliate network takes a small percentage or fixed fee from each sale. No one minds a few pennies, but for the network arranging thousands of sales per day, the pennies soon add up. Now many buyers wonder if the product would cost a bit less if the affiliates and networks were not involved, in a similar way that offline you buy directly from a warehouse or the manufacturer. In theory, you’d think so, but many vendors do not do much selling for themselves and prefer to let affiliates do the work of advertising to get the customers in. The system works pretty well for everyone. Watch the video below for a bit more information on affiliate marketing. (The video will stop around the 1 min mark. Scroll down and click the button, then come back to the page when complete and click the X at the top of the video). So now you’ve seen what affiliate marketing is about and grabbed a free ebook into the bargain. 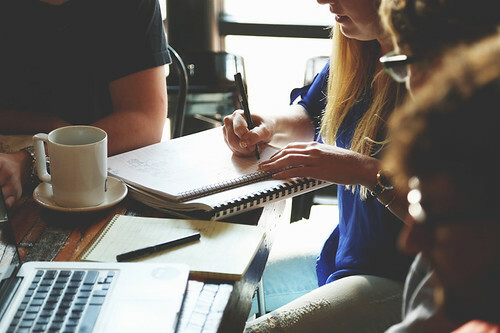 Browse through this site for more information on various aspects of internet marketing or go along to Marketing Mentor Steven to grab a lot more free stuff to help you get started with affiliate marketing, including products you can sell for yourself (or get affiliates to sell for you). If you need specific advice, please feel free to email me via the ‘Contact Me‘ page. P.S. Do you like the pop up at the 1-minute point? Is it something you think you could use in your videos (actually, they don’t have to be YOUR videos – you can use anyone’s). If you use video on your blog or website and think that a system like that could help YOU get more subscribers (or any other link you want to send people to), take a look at VidFly and see how much it can help you and your business. Big Ticket Affiliate Sales. Is It Really That Easy To Do? Why would you go for big ticket affiliate sales? Surely it’s easier to sell low priced items? It becomes obvious after a short while that you’re never going to get rich merely by selling $7 products. Sure, it will help you build a reputation. By offering good support you will certainly build up your ‘Know, Like & Trust’ factor. To achieve to $5000 a month, a figure that seems to be many people’s target (at least initially), you have to sell an awful lot of low-priced products, day in – day out. $5000 a month is $167 per day or 24 $7 products – assuming 100% commission, of course. To get 24 sales, chances are you’ll need to send between 240 to 500 clicks to the sales page assuming a conversion rate between 5% to 10%. Still sounding manageable so far? With an average click-through rate of, let’s say 20% (that seems common these days) on autoresponder emails, you need at least 2500 people to open your email. Still do-able. If the open rate of your emails is 10% then you’ll need a list of around 25,000 people to do this. How big is your list? (Do your calculations backwards, like this, from the results you want. Start with the end in mind). And this is each and every day, remember. If you’re sending sales emails at that sort of rate, you’ll have a high rate of unsubscribes so you’ll also have to consider how you’re going to replace those people. Chances are you’ll use some sort of paid traffic system. This will eat into those profits that you’re hoping to make. Of course, these calculations do not take into account the (high) probability of sales of products further up the funnels where you could be making 50% of $17, $47 and/or $97sales from some of the buyers. These sales certainly make the target figure more achievable, but it’s still a lot to have a go at. And bear in mind the list size needed to do it. Are big ticket affiliate sales the golden ticket? There is another option, though. 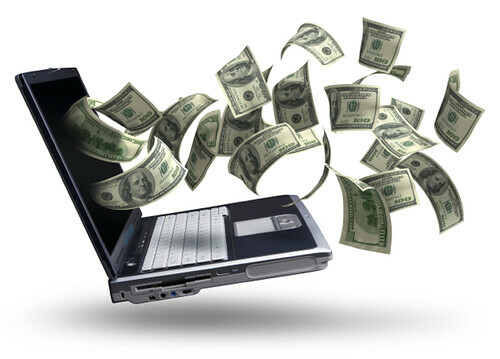 Setting your sights on making big ticket affiliate sales. Big ticket affiliate sales, in this case, means products and services of over $1000 where you will be taking 50% over the whole funnel. A funnel where the back-end products probably roll in at $5k to $10k. One good customer means you’re good for a month! Two to three sales a week suddenly makes the whole task of $5k per month look a lot easier. The really good news is that it need not be any more difficult to make big ticket sales that it is to make small-ticket ones. Sure you might need to look in different places, but the techniques of selling will be no different and, as an affiliate, you probably won’t be closing the deals yourself. You’ll be handing them onto an experienced, professional sales team. 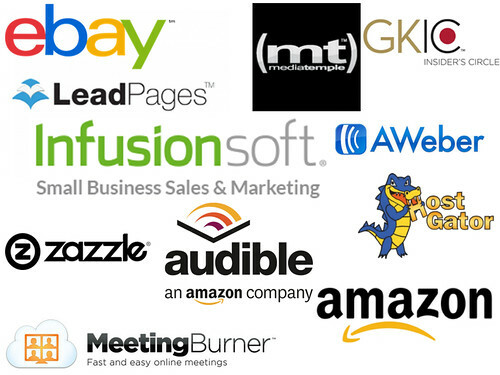 In all honesty, in isn’t even that difficult to find these big ticket affiliate sales products. There are several websites that specialise in checking and reviewing them – usually, of course, with their own 2nd tier affiliate links feeding you into the top paying systems. 2nd tier, in case you need to know, is when you get paid a commission for introducing someone into the affiliate system. Obviously, the commission is less – usually 3 to 5%, but introduce enough people who then introduce buyers to the product and you have a great source of passive income. Now that you know a little about big ticket affiliate sales, I’m sure you’d like to know more. Fortunately, I have a great source of information for you. Even more fortunately (for you, that is), it’s not a big ticket product. Take a look at Denis Becker’s (Creator of the 5 Bucks A Day system, for affiliate beginners) Big Ticket Selling – $12k in 12 Days and consider it your bible into the world of big ticket affiliate sales. How to identify high ticket offers in the market (even ones most people don’t even know exists). How to earn commissions from these high ticket offers even if there is no affiliate program for them. How to get prospects who already want to buy high ticket items and are actively looking to buy right now. How to find services in your niche people already spend a ton of money on. How to find secret and hidden offers and service providers nobody knows even exists. How to strike Joint Venture deals left and right and become the hunted. How to funnel through people and find the ones with big money and are ready to spend now! How to filter out tire kickers, and refunders and pretenders and find the ones who are movers and shakers and are ready to spend a lot of money now! How to structure campaigns that produce consistent sales and customers. So there’s plenty of information to get your teeth into. Denis also runs the 1k a Day membership site, so he knows how to make good money. Even if you don’t run your whole business around big ticket affiliate sales, you’re going to want to investigate supporting it with a few big-money items. $12k in 12 days is a great way to help you get started in this lucrative side of online marketing. As always, if you have any questions, please feel free to contact me. I’ll do my best to help you get the answers you want. If you enjoyed this article, please share it on your social media and let me know. I’m happy to reward people who help me. Also feel free to comment below. I always reply, although it sometimes takes me a while to get there. If you have a blog and let me know it when you comment, I will visit and comment you too. Affiliate Cash Map is a new product produced by Lemmy Yu. As its name suggests it’s all about learning how to be an affiliate marketer, taking from from, point zero, knowing nothing – but having the desire to succeed, all the way through to earning 6 figure, job-quitting money. The main ‘bones’ of Affiliate Cash Map are 9 videos taking you through picking a niche and product, setting up a squeeze page and email list, sending traffic to the list, building a relationship with that list and turning subscribers into customers. Lemy then goes on about how to turn those customers into avid buyers of more of your offers and making the whole thing into a 6 figure a year business. You might think that this is nothing that hasn’t been done before, and you’re probably right. However, Lemy has made this so simple that a total internet newbie could pick up Affiliate Cash Map and run with this very successfully. The reason for this is that after the videos there is a selection of bonus items to help even the newest newbie to get going – especially the Basic IM Guide item. For the newcomer, this is a great course in its own right and even for the experienced people out there, there are still a fair few who don’t know how to put their own pages together so this will help their knowledge too. The last part of the download section is the audio mp3 extract of the Affiliate Cash Map videos. Having these means you can load them up on your phone, tablet or music player and be able to listen at a convenient time and place. The fact that ALL the elements are individually downloadable is a great bonus really. So many marketers force to you to watch or listen to their stuff online online, meaning that you miss a chance to learn at a time where you might not have internet access. Affiliate Cash Map – What’s it going to cost? The best bit of all though is that Affiliate Cash Map costs you less than $10. That’s 9 videos totalling over 90 minutes, 5 ebooks, Basic IM Training, 9 audios plus all the other bonus bits and pieces that are in there. Making it less than 45c per item. Where else are you going to get training of this quality for that sort of price? So CLICK HERE to get Affiliate Cash Map for this great price. I’m including a huge IM bonus package, including my own resource book and if you buy through my link, I will add my personal email support as well. I am quite pleased to say that by using various techniques I’ve been shown by other people that each of these videos hit the top spot of Google searches (for Affiliate Cash Map and Affiliate Cash Map review search terms), even beating Lemy Yu’s own pages. Whether they’re still there after a while is another thing entirely, but it goes to show that anyone can hit the top spot of you have the right techniques!